While solving for collaboration, we built a product that our own teams love and use everyday! Flock is a messaging and collaboration tool built for both designers and developers. With close-to-zero setup, it brings together all your team’s conversations, appointments, and files in one place, helping you spend more time on what you are best at — building awesome stuff! Building software is hard. Building software that is a delight to use every day is even harder, given the exacting standards most of us in the design and development community have for our tools. So, when we set out to change how people communicate in the modern workplace, we had but one goal - build something that we would objectively love! 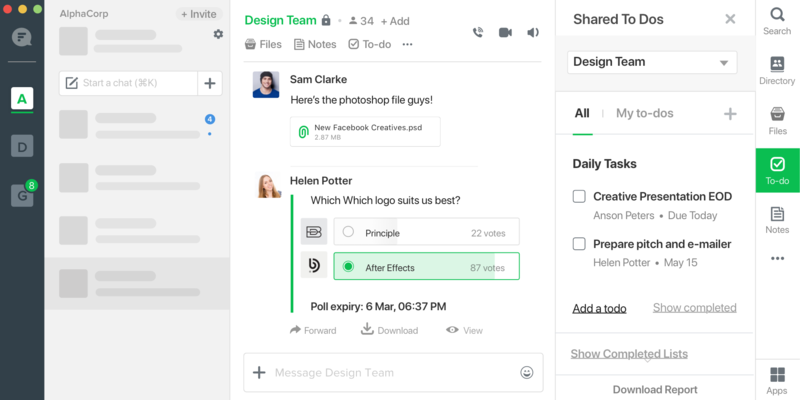 Today, thousands of design and development teams use Flock every day, validating our UX-led approach to building a team collaboration tool for all kinds of teams. But how did we get here? Here’s our story. At Flock, our designers frequently share creatives and design assets with the rest of the organization and using email to share links to files gets real old, real fast. So we started by looking at one of the biggest challenges to efficient collaboration at work — the "app-juggling" one had to master even for something as simple as sharing a file. "Emails on one platform, files on another, real-time conversations on yet another one, and we would often need to shuffle between these apps to find and share relevant files with team members. That was an invisible time-sink!" We realized that bringing together our files and the conversations around them in one place would save us a lot of time and effort, and built integrations for Flock with Google Drive, OneDrive, Box, and Dropbox. Now, it is incredibly easy to find and share relevant files from the sidebar and discuss them with the team immediately, with dynamic previews and permission controls. The next challenge we tackled was the time spent in getting feedback on designs and prototypes from colleagues in our geographically distributed design and development team. We knew that it was difficult to convey visual feedback on creatives through plain text/emails because our designers often struggled to understand what part of an illustration the feedback was aimed at. And then, we thought, "Wouldn’t it be so much easier if we could hop on a call and show colleagues exactly what we see?" 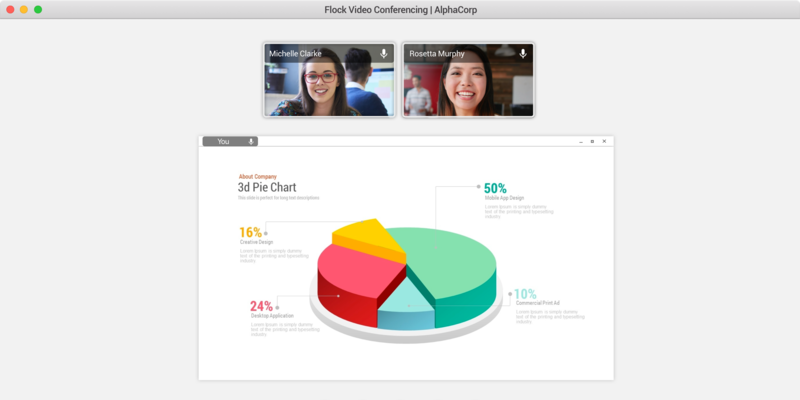 So, we built a seamless video and audio conferencing experience into Flock that allows us to start a video call with one or more team members and walk them through the feedback by sharing screens. Like most startups, we have a few irons in the fire at any given time. So, one group of designers and developers might be working on a prototype of our newest product while another group works on landing pages for a marketing campaign. Conversations around these projects need to happen simultaneously and seamlessly. But with a team of over a hundred rock-stars, it’s difficult to keep track of conversations on various projects and keep those conversations on track. We had to create a system that accomplished both. So, for every project, the Project Lead creates a Channel on Flock (a group conversation) where everyone involved can discuss the project. We create other channels for shared interests and water-cooler chats, so conversations in project channels are focused and more efficient. Another reason for the dreaded "app-juggling" act? Our designers and developers use a lot of apps and services that they have to check for updates at various times of the day. So we built integrations for third-party services right into Flock. Now, team members receive notifications from all their favorite apps in one place — Flock — and can choose to take action when required. Our App Store has over 60 integrations with popular third-party business apps and services, so we can work with all our favorite tools in one place. And we can connect hundreds of applications and web services to Flock using Zapier and IFTTT. From Dribble and Asana to Jira and GitHub, we connect almost every service we use to Flock. Last but not least, developers can build custom apps and integrations using our open API. Many early adopters of Flock were teams with designers and developers who were happy to share feedback. We found that a lot of these teams worked with external consultants or clients, particularly at creative agencies. And these conversations were, again, on email, on the phone or, sometimes, verbal instructions with no record for later reference. To ensure all these conversations could be brought into one window, we created Guests in Flock, an incredibly simple way of adding external collaborators to team workflows while maintaining a firewall of access between conversations within the team and conversations with guest users. 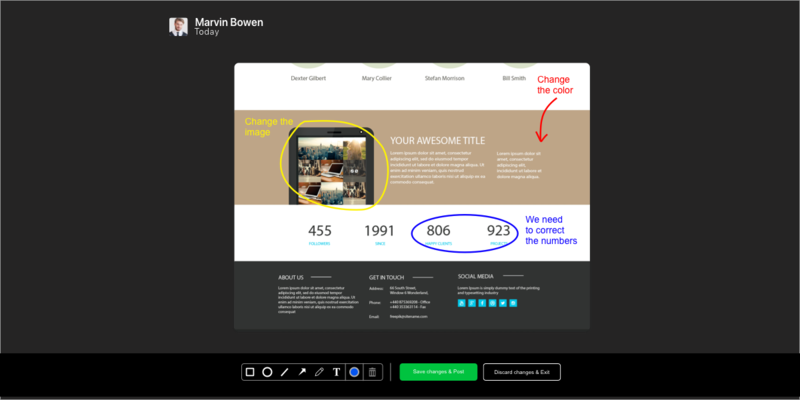 This makes it easier to collaborate with clients and consultants, feedback can be shared and acted upon in real-time, and the built-in image annotation feature allows designers to share visual feedback on creatives. Our thinking from the get-go has been that effective communication is a basic utility in every workplace, and it should add to productivity way more than it does to expenses. Which is why we priced Flock starting from free, with an option to unlock all functionality for $4.50 a user per month on the Pro plan — a third as much as our competitors. Our designers and developers have found incredible success in building Flock and becoming its first power users, and the business case for adopting a team collaboration platform has never been clearer. Whether one wants to discuss ideas, share collateral's, collect feedback from teammates and clients, or get code-push notifications from Gitlab, Flock just works.